Recently, we were treated to a fab day out at Chester Zoo by the lovely folks at Matalan. The weather was gorgeous and we had a great time catching up with some other bloggers and their kids. The boys loved every second of it, especially the giraffes who are a bit of a family favourite. 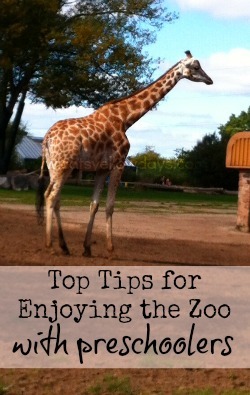 It was a big day out for the kids and they were exhausted by the time we got back in the car and slept most of the way home so I thought I’d share some tips on making the most of a day at the zoo with little ones both from myself and some experienced zoo visiting bloggers. Plan what you need take and pack your bags/changing bag the night before so you’re not rushing but don’t go overboard as you’ll be carrying it around all day. Think about the weather and then plan for all eventualities – layers, water bottles, suntan lotion, umbrellas – in the UK you just never know! Double check you’ve got everything when you get out of the car as it’s always a long way back to get something later. Don’t let them see ANY of those little rides if you want them to pay attention to anything else and avoid a very public meltdown when he has to leave them – Jenny (Mum of One) I can empathise with that! Great tips, Cat. Thanks for including mine. I’m saving this for future reference. Thanks for the mention! Some fantastic tips here, and thanks for including mine!